There are more than 40 different types of seizure disorders, although most people recognize the term epilepsy to describe what happens when a person is suffering through a seizure episode. Epilepsy is a neurological disorder that occurs when there is an excessive surge of electrical activity in the brain. The severity of the seizure depends upon which parts of the brain are involved. The seizures are not a result of anything the person is doing. Sometimes seizures are the result of head trauma, stroke, infection, tumors or other causes. Certain genetic disorders can also cause seizures, according to NYU Langone School of Medicine. Have recovered $100M+ for our clients. Have seen your situation before. Are aggressive in our approach. Know the tactics used by the insurance companies. Hold high AV Ratings & received the Super Lawyers designation each year. Epilepsy and seizure disorders are frightening and frustrating. The unexpected nature and violence of the seizure can make it impossible for a person to perform the material tasks and duties of their occupation. The medication that stops the seizures could also have an impact on the person’s ability to perform their job. If it is necessary to file a claim for disability insurance, Frankel & Newfield can help. We also represent people who have filed a long term disability claim for a seizure disorder and have been told that their condition is not severe enough to qualify for benefits. We have also fought back successful when long term disability insurance payments for claimants with epilepsy and other seizure disorders were denied or terminated after being paid. Contact our office at 877-583-2524 to find out how we can fight your claim denial or help you prepare to file a claim. Don’t wait, as there are strict time limitations once a claim has been denied. 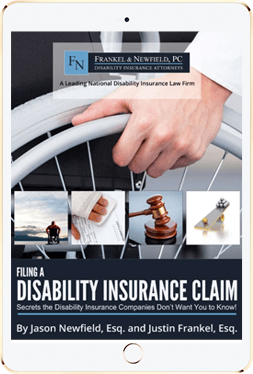 Secrets the Disability Insurance Companies Don’t Want You to know!